Nutrition is the branch of science that deals with nutrients and how we obtain them and their effects in the body. Good nutritional choices are important for good health and preventing disease. Knowledge of nutrition allows an individual to make informed choices about what foods they or their families should eat. An understanding of how food is produced and how it affects the body is important for many career paths. Nutrition is a growth area with jobs in a variety of fields for example food science, food production, sports science, health and fitness industries. This course will prepare the learner for direct employment or for progression to third level and is accepted for entry to most science, food science, nutrition or health related courses in Ireland. This course also includes maths, biology, chemistry, physics and IT skills. 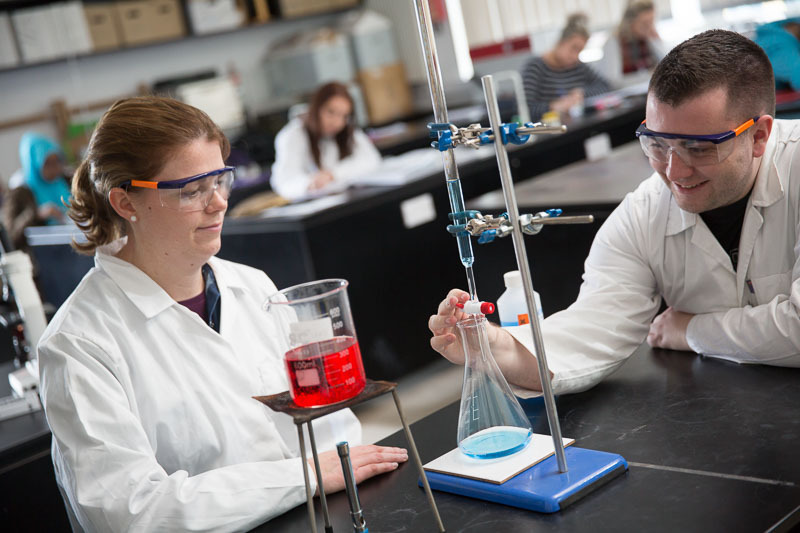 These subjects are common to all first year science qualifications and give students an advantage over students entering directly from leaving certificate. Graduates of this course have a strong foundation in the skills required to obtain positions in laboratories or other science/health related areas such as biotechnology, pharmaceutical science, sports science, food science and general science industries. This course is for people who wish to embark on a programme of study leading to a career in social care. It provides the key knowledge and a practical skills foundation for different areas of social care work. This course provides students with the foundation skills required for employment in a social care setting, for example disability, youth and adolescent services. At Cavan Institute: Graduates of this course may progress to the first year of a BA in Applied Social Studies in Social Care, which is a two-year Athlone Institute of Technology programme where students take year one in Cavan Institute and remaining years in AIT. Graduates may also apply for a place on the BTEC/Edexcel Higher National Diploma in Health and Social Care, a two-year programme also available at Cavan Institute. Elsewhere: Graduates are eligible to apply through the CAO and/or the Higher Education Links Scheme for entry to year one of a range of higher certificate and degree programmes at Institutes of Technology and Universities (please check with the particular institution regarding local eligibility requirements). This course provides a wide and comprehensive introduction to the area of radio broadcasting and will establish fundamental radio production competencies from which the student may progress to employment, further study or training. As part of the course, students will gain practical experience working in professional radio settings and will prepare material for broadcasting to local audiences. There will be an emphasis on using industry standard technology. Students will be responsible for the preparation of programmes for broadcast. 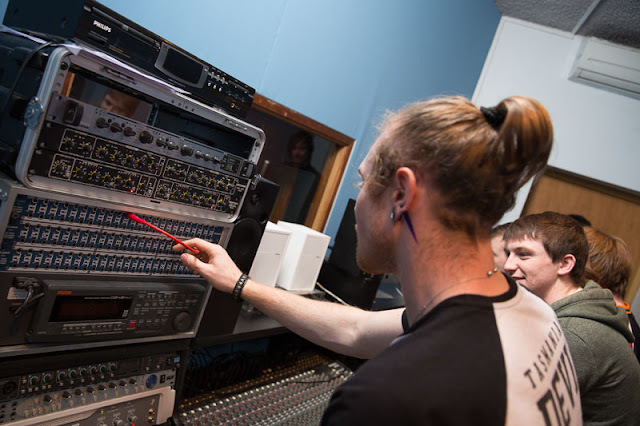 Graduates of this course will be able to pursue many different opportunities across the radio industry as producers, presenters, new reporters and engineers. This course is designed to provide students with a broad and balanced skills base to enable them to work in an administrative area in any business sector. First impressions and perception are very important concepts in business. Front office specialists and receptionists are the first line of contact for the organisation and convey the business ethos to customers. Students will develop additional skills tailored for the front office including modern telephone techniques, listening skills, dealing with complaints, keyboard techniques and software applications. Developing a professional image and role play feature strongly in this course. These specialist modules will complement the core modules in the course and prepare students for employment as a receptionist or front office specialist. This course equips students with the qualifications and skills for employment in office administration. The specialist modules enhances employment opportunities to work as a receptionist or front office specialist. At Cavan Institute: Graduates of this course may progress to the QQI level 6 Certificate in Administration and IT for Business or the level 6 Business Studies course, both available at Cavan Institute. Elsewhere: Graduates of this course are eligible to apply through the CAO and/or the Higher Education Links Scheme for entry to year one of a range of higher certificate and degree programmes at Institutes of Technology and Universities (please check with the particular institution regarding local eligibility requirements). QQI Level 5 Award in Early Childhood Care or Equivalent. Equal consideration will be given to mature applicants (those aged over 23) who do not meet these entry requirements but can demonstrate industry experience. This course aims to build on the knowledge and skills and competencies of those who achieved a QQI level 5 qualification and wish to progress to managerial level. 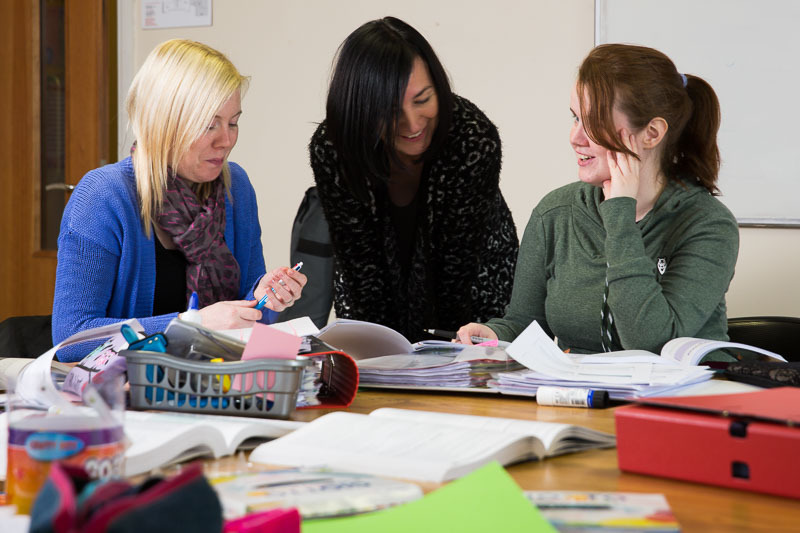 The course is designed to meet the needs of the growing childcare provision in Ireland and the new Síolta Quality Framework and Aistear Curriculum. Many childcare settings are now seeking level 6 qualifications for their employees in line with the requirements of the ECCE Scheme and new legislative requirements for the sector. Holders of a Level 6 Early Childhood Care and Education award may enter employment directly in a supervisory role in a range of childcare settings. Working with Dermologica, Decleor and Yonka products, students gain exceptional experience in this dynamic industry. This course is very intensive and a high level of commitment is essential. Work experience in beauty therapy is an integral part of the course. Progressing from year 1 to year 2, students will advance their professional skills further and add to their existing qualifications. CIDESCO is the highest and most recognised qualification worldwide. Cavan Institute has been a registered CIDESCO school for over 10 years. Students will study a specialised subject and complete a 4000 word thesis relevant to the beauty industry. Students actively participate on a weekly basis in the Salon on campus and gain experience practicing treatments and developing existing skills to salon standard. Students who successfully complete this course may obtain positions as beauty therapists in beauty salons, hotel spas, health farms, and in the leisure industry, sales representatives and trainers for beauty products. Graduates of this course have the necessary qualifications to start their own business. The Internationally recognised diplomas that Cavan Institute offer, provides a career passport for the more adventurous students who wish to see the world, excellent job opportunities are also available on Cruise Liners. Leaving Certificate or Leaving Certificate Applied or LCVP or QQI Level 4 Award. Equal consideration will be given to mature applicants (those aged over 23) who do not meet these entry requirements. Progression to year 2 is dependent upon successful completion of year 1 and satisfactory attendance during year 1. Students must meet all the necessary criteria as stipulated by the international examination bodies, these include completion of required course hours and specific project work. Students on the course must purchase their uniform, professional work kits and student insurance. All examination and kit fees are payable prior to course commencement. This course is designed to give students a firm foundation in Computer Aided Design (CAD). CAD technology is used to create graphics and make calculations needed in the production of drawings, three-dimensional simulations, models and other design work. 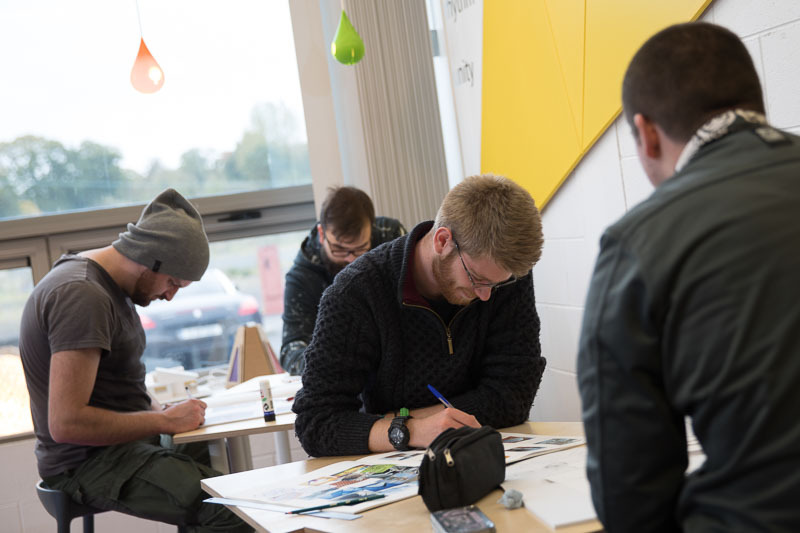 The course enables students to gain a knowledge of architectural design and the built environment, while considering construction materials and the needs of clients. CAD is used in a variety of areas, including aeronautical, automotive and maritime engineering, electronics and architecture. Students gain hands on experience of the latest technologies in use in these industries. A minimum of 10 days work placement must be completed in a relevant vocational area. This course will give students a firm foundation in the skills required for employment in the area of CAD. Graduates with skills in architectural drawing, CAD and Parametric CAD are highly sought after in all areas of the economy. At Cavan Institute: Upon successful completion of this course, you may progress to a FETAC/QQI level 6 course in Architectural Technology and Design (Year 2) or in Renewable Energy Technology and Automation, both available at Cavan Institute. Students can progress from this course to Institutes of Technology through the Higher Education Links Scheme on obtaining a full award.